Commenting on the recent remarks of Donald Trump regarding Iran, which Tehran labelled as 'Iranophobia', Iranian political analyst Ali Reza Rezakhah explained to Sputnik Persian what the real purpose behind the comments of the US leader is and who he’s really talking to. 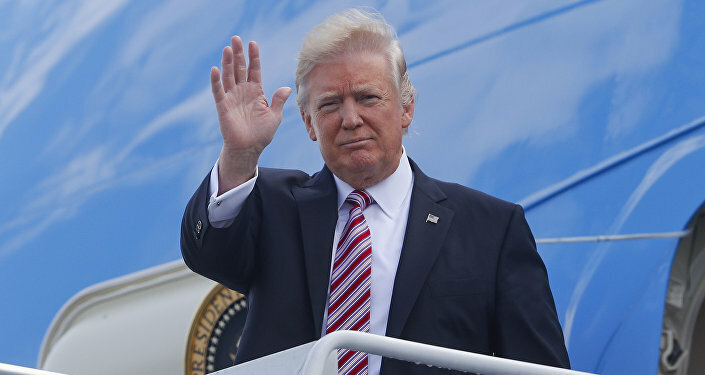 On Monday, US President Donald Trump promised that Tehran will never develop a nuclear weapon. "Iran will never have a nuclear weapon that I can tell you," Trump told reporters before the meeting with Israeli Prime Minister Benjamin Netanyahu. 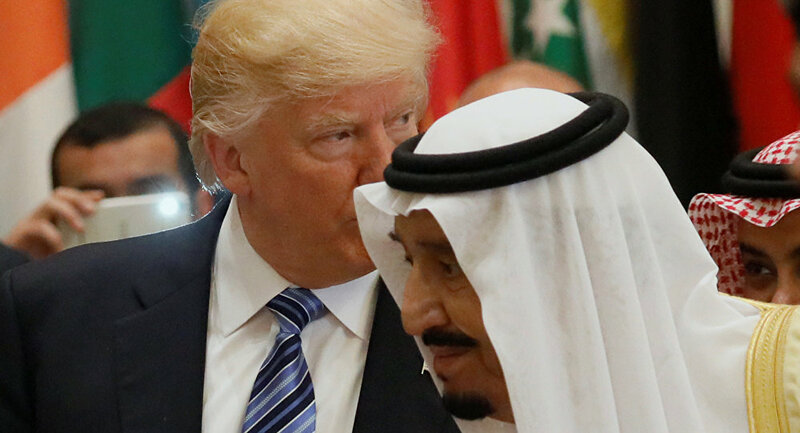 Trump's remarks came the day after the Arab Islamic American Summit was held in the Saudi capital of Riyadh, where the US president said that Iran has been supporting terrorists, militias and extremist groups that spread destruction and chaos across the Middle East. Tehran was quick to label Trump's remarks as "Iranophobia," accusing the US and its leader of "repetitive and baseless claims" about Iran. "The American president tried to encourage the countries of the region to purchase more arms by spreading Iranophobia," spokesman for the Iranian Foreign Ministry Bahram Qassemi said a day after the US President finished his trip to Saudi Arabia. Sputnik Persian sat down with Iranian political analyst and expert in American studies Ali Reza Rezakhah to talk on the war of words between the US administration and the Iranian government. "Tehran has never voiced its intention to possess any nuclear arms," Ali Reza Rezakhah reminded Sputnik. Moreover, he further explained, Iran has announced that the use of any weapons of mass destruction, and nuclear arms in particular, is banned by Islam. A corresponding fatwah (a legal opinion in the Islamic faith) on the ban of stockpiling and use of nuclear weapons has been issued by Iran's Supreme leader Ayatollah Ali Khamenei. Besides, the peaceful nature of the Iranian nuclear program and the absence of any intentions to possess nuclear arms have been stipulated in the Joint Comprehensive Plan of Action, commonly known as Iran's nuclear deal. "Donald Trump’s remarks, therefore, are nothing but pure PR and bait for the mainstream media. The words have been said to please the Israeli Prime Minister," Ali Reza Rezakhah told Sputnik. He echoed the words of Bahram Qassemi, saying that Trump's visit to both Riyadh and Tel Aviv and his rampant remarks are the new wave of "Iranophobia", which the US leader is trying to spread. He further noted that regardless his low ratings, Donald Trump might get certain success in his efforts. "'Iranophobia' might become a basis for creation of a new terrorist coalition of an international caliber. And Trump's visit to Saudi Arabia and Israel come as a proof to it," he said. The political analyst explained that Israel, on the one hand, is a terror state. Saudi Arabia, is a "godfather" of extremism and religious ideology for such terrorist groups as Daesh, al-Nusra Front and al-Qaeda. And the US is a country which actively profits from terrorism. This three political forces, he said, want to setup a new coalition in order to disturb the security not only in this particular region, but worldwide. And they need a certain ideology to be able to unite this coalition. "Iranophobia" could not have come at a better time, with the renewed claims that Iran wants to possess nuclear weapons but it "won't be allowed to." Throughout the previous one and a half centuries, at least, Iran has not attacked anyone, has not launched any military aggressions, unlike both the US and Saudi Arabia," Rezakhah told Sputnik. The US and Saudi Arabia are striking and annihilating poor Yemeni people, he said. "This is a new maneuver in the foreign policy of Washington and its regional allies. However the international community is unikely to buy into these remarks of Donald Trump," he finally stated.